Today, we are happy to introduce you to the shiny new Localscope app icon. The new icon is simplified and is so slick that its lickable. 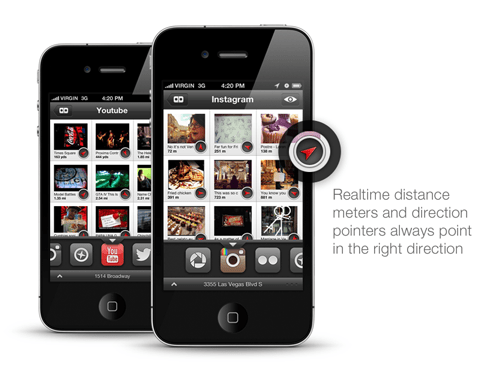 In the past few years, the red location pointer available in various screens of Localscope has been pointing users worldwide to relevant locations around them. The pointer visually connects information on the user’s screen to points in the real world enabling them to locate their desired places and has become one of the most symbolic elements of Localscope. The new app icon is a simplified version of the original Localscope icon that better represents everything Localscope stands for and reflects our continuous focus on simplicty. Another exciting news with the v2.5 update is the availability of the Localscope API for third party app developers. We believe it is a great opportunity to partner with third party applications and we are eager to integrate their feedback into the API. The new and updated version of Localscope is now globally available on the Apple AppStore. Visit the AppStore to get your copy now!